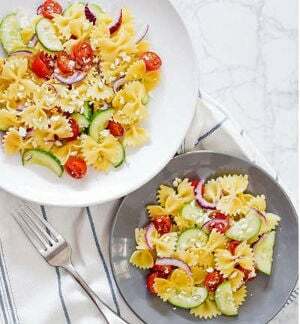 Farfalle in love with these delicious farfalle pasta salad recipes —farfalle with cucumbers, grape tomatoes and feta and farfalle with tomatoes and basil. 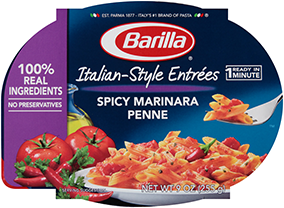 It’s officially pasta salad season and fresh and easy recipes make summertime dinners a breeze. For more pasta salad recipe inspiration, click here.